There were no PTR32’s displayed at SHOT but I asked about them anyhow. 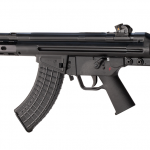 PTR Industries is re-tooling the PTR32. 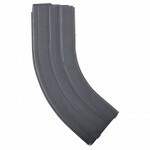 Their biggest concern was our biggest concern, the universal fit of the many different AK mags on the market. The new production will be cataloged as Gen 2. PTR Industries claims to have an improved barrel design that reduces weight with a taper, is more affordable, and retains accuracy. I’m not too concerned with the latter on a 7.62x39mm system. 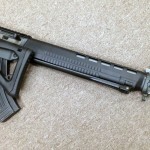 They’ve also redesigned the handguard with polymer which will again reduce weight and cost. Drum magazines are also planned to now be compatible, per the current catalog. 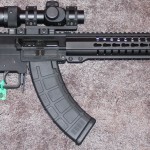 Photo below is of a Gen 1 PTR32 with rail. 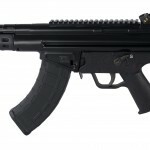 The PTR Industries PTR32 Gen.2 is now available. The H&K .. I am not sure how long it has been this .. This is a nice video on modifying the ASC 7.62x39mm ..
Not sure how I feel on using a tapered barrel design. But hey, if it doesn’t hurt accuracy or barrel life, why not? Also, I know looks can be deceiving but that buttstock/cheekweld thing looks pretty bulky. Polymer can be a great thing to have in moderation, but trying to put it in places where steel or aluminum should be can be a huge mistake. Just look how the UTS-15 came out. 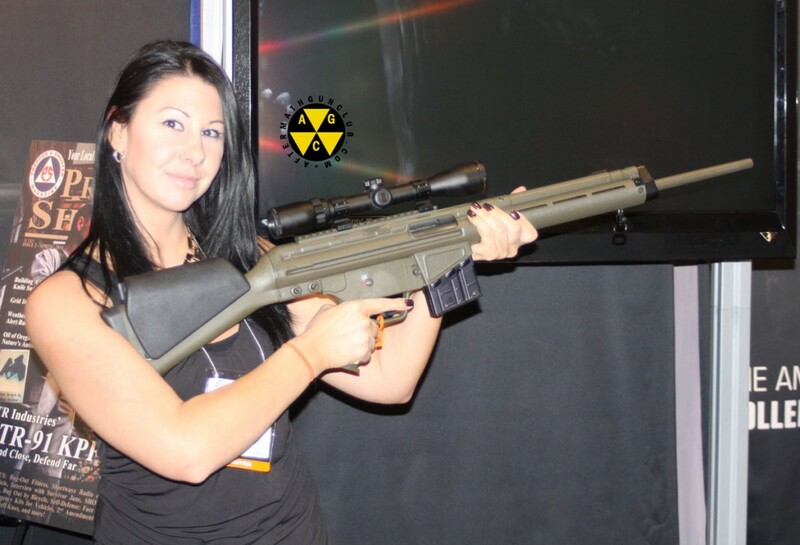 I have one of those on my CETME and it only looks bulky but its not. It is pretty much necessary if you want to scope one of these rifles. mine actually has a battery compartment in it so it does come in handy.